For the purposes of this policy, GK Home Watch defines the term “User” as an entity with which GK Home Watch has an established relationship, the term “Respondent” as any individual who responds to surveys powered by GK Home Watch or who is included as a contact in a User’s account and the term “Visitor” as an individual that visits our front-end website (for example www.GK Home Watch.com). Any information stored on GK Home Watch’s platform is treated as confidential. All information is stored securely and is accessed by authorized personnel only. GK Home Watch implements and maintains appropriate technical, security and organizational measures to protect Personal Data against unauthorized or unlawful processing and use, and against accidental loss, destruction, damage, theft or disclosure. Such Personal Data may comprise your IP address, first and last name, your postal and email address, your telephone number, your job title, data for social networks, your areas of interest, interest in GK Home Watch products, and certain information about the company you are working for (company name and address), as well as information as to the type of relationship that exists between GK Home Watch and yourself. GK Home Watch gathers data about visits to the website, including numbers of Visitors and visits, Geo-location data, length of time spent on the site, pages clicked on or where Visitors have come. GK Home Watch uses the collected data to communicate with Visitors, to customize content for Visitors, to show ads on other websites to Visitors, and to improve its website by analyzing how Visitors navigate its website. GK Home Watch may also share such information with service vendors or contractors in order to provide a requested service or transaction or in order to analyze the Visitor behavior on its website. Respondents should be aware that in responding to surveys or survey invitations, they could be disclosing information that could make them personally identifiable to GK Home Watch Users. The security and privacy protection implemented on GK Home Watch’s platform does not cover this type of transfer or disclosure of personal information. Respondents responding to surveys or survey invitations should be aware that they alone are responsible for the content of their responses. For more detailed information concerning the protection of privacy when responding to surveys or survey invitations, Respondents may contact the entity conducting the survey. It is the User’s responsibility to ensure that collection and processing of data is done in accordance with applicable law. GK Home Watch will not process Personal Data of Respondents for other purposes or by other means than instructed by its Users. If you wish to inquire about your Personal Data that may have been collected in a GK Home Watch survey, we recommend that you contact the entity that created or sent you the survey. As GK Home Watch is a Processor, it does not control the Personal Data used or stored in the survey, but processes it on behalf of its User. In order to provide services to its Users, GK Home Watch collects certain types of data from them. Furthermore, GK Home Watch’s Users collect information from Respondents when they produce and distribute surveys. This section will describe how these two types of data are collected and used by GK Home Watch as well as geographical differences that effect this policy. Data entered or transferred into GK Home Watch by Users such as texts, questions, contacts, media files, etc., remains the property of the User and may not be shared with a third party by GK Home Watch without express consent from the User. During a User’s registration and later on GK Home Watch’s platform, they provide information such as name, company name, email, address, telephone, credit-card number and other relevant data. This information is used by GK Home Watch to identify the User and provide them with support, services, mailings, sales and marketing actions, billing and to meet contractual obligations. GK Home Watch Users can at any time access and edit, update or delete their contact details by logging in with their username and password to GK Home Watch’s platform. GK Home Watch Users may create more Users with different privilege levels within their account. It is the responsibility of the User that creates other User accounts, to choose the level of access each User should have. Once these new Users log into GK Home Watch, they meet the definition of User in this policy. GK Home Watch will not retain User data longer than is necessary to fulfill the purposes for which it was collected or as required by applicable laws or regulations. Surveys used for gathering feedback are created by Users, who make them available to relevant businesses, organizations, and individuals. It is the User’s responsibility to ensure that collection and processing of data is done in accordance with applicable law. GK Home Watch will not process Personal Data for other purposes or by other means than instructed by its Users. Respondent data includes data from individuals uploaded, transferred or manually entered by a GK Home Watch User into their account for the purpose of providing feedback to the User by responding to surveys. Personal Data may include, personal contact information such as name, home address, home telephone or mobile number, email address, information concerning family, lifestyle and social circumstances including age, date of birth, marital status, number of children, employment details, education/qualification, business contact details, gender, religion, race, health detail and other sensitive Personal Data. Answers to questions by Respondents, may also include Personal Data. The purpose of collecting Personal Data as part of a survey will vary depending on the survey, as set up by GK Home Watch’s Users. 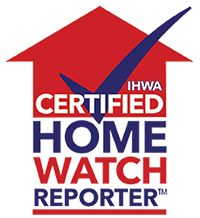 As GK Home Watch provides surveys to a wide group of customers and businesses, the purpose may vary greatly. For Users in the EEA, or for Users providing surveys to Respondents in the EEA, the User will be the “controller”, as defined in the Directive and the GDPR. The purpose will consequently be defined by GK Home Watch’s User. GK Home Watch offers a number of data regions. A GK Home Watch “Data Region” is a set of data centers located within a defined geographical area where User and Respondent data is stored. Personal Data is not transmitted between Data Regions. For GK Home Watch Users with accounts located in GK Home Watch’s European Data Region, all Personal Data is processed in the EEA. For Users with accounts in the Data Regions: United States of America (US) and Canada, all Personal Data is processed solely in the respective country. For Users with accounts in our Asia Pacific Data Region, all Personal Data is processed in Singapore. For Users with accounts located in GK Home Watch’s European Data Region, all processing of Personal Data is performed in accordance with privacy rights and regulations following the EU Directive 95/46/EC of the European Parliament and of the Council of 24 October 1995 (the Directive), and the implementations of the Directive in local legislation. From May 25th, 2018, the Directive and local legislation based on the Directive will be replaced by the Regulations (EU) 2016/679 of the European Parliament and of the Council of 27 April 2016 on the protection of natural persons with regard to the processing of Personal Data and on the free movement of such data, known as the General Data Protection Regulation (GDPR), and GK Home Watch’s processing will take place in accordance with the GDPR. The GK Home Watch entity which you as a User entered an agreement with when using GK Home Watch’s platform, will be the Controller for User data, as outlined above in “Collection of User data” section. For Respondent data, as outlined in the “Collection of Respondent data” section, the User will be the Controller in accordance with Directive and GDPR, and GK Home Watch will be the Processor. GK Home Watch adheres to the Directive of 1995 and the GDPR from May 25th, 2018. Consequently, GK Home Watch processes all data provided by its Users with accounts in its European Data Region, in the European Economic Area (EEA) only. All data collected by GK Home Watch Users through surveys will be stored exclusively in secure hosting facilities provided by Amazon Web Services. GK Home Watch has a data processing agreement in place with its provider, ensuring compliance with the Directive. All hosting is performed in accordance with the highest security regulations. All transfers of data internally in the EEA is done in accordance with this data processing agreement. For Users with accounts in the GK Home Watch US Data Region, GK Home Watch processes data solely in data centers located in the US. GK Home Watch has adopted reasonable physical, technical and organizational safeguards which substantially mirror the EU safeguards against accidental, unauthorized or unlawful destruction, loss, alteration, disclosure, access, use or processing of the User’s data in GK Home Watch’s possession. GK Home Watch will promptly notify the User in the event of any known unauthorized access to, or use of, the User’s data. All data collected by GK Home Watch Users through surveys will be stored exclusively in secure hosting facilities provided by Amazon Web Services. GK Home Watch’s contract with its hosting provider ensures that all hosting is performed in accordance with the highest security regulations. GK Home Watch’s policy is to protect and safeguard any personal information obtained by GK Home Watch in accordance with United States state or federal laws governing the protection of personal information and data. Accordingly, GK Home Watch adheres to practices and policies that aim to safeguard the data. For Users with accounts in the GK Home Watch Canada Data Region, GK Home Watch processes data solely in data centers located in Canada. GK Home Watch has adopted reasonable physical, technical and organizational safeguards which substantially mirror the EU safeguards against accidental, unauthorized or unlawful destruction, loss, alteration, disclosure, access, use or processing of the Users data in GK Home Watch’s possession. GK Home Watch will promptly notify the User in the event of any known unauthorized access to, or use of, the User’s data. All data collected by GK Home Watch Users through surveys will be stored exclusively in secure hosting facilities provided by Amazon Web Services. GK Home Watch’s contract with its hosting provider ensures that all hosting is performed in accordance with the highest security regulations. GK Home Watch’s policy is to protect and safeguard any personal information obtained by GK Home Watch in accordance with Canadian laws governing the protection of personal information and data. Accordingly, GK Home Watch adheres to practices and policies that aim to safeguard the data. For Users with accounts in our Asian Pacific Data Region, GK Home Watch processes data solely in data centers located in Singapore. GK Home Watch has adopted reasonable physical, technical and organizational safeguards which substantially mirror the EU safeguards against accidental, unauthorized or unlawful destruction, loss, alteration, disclosure, access, use or processing of the Users data in GK Home Watch’s possession. GK Home Watch will promptly notify the User in the event of any known unauthorized access to, or use of, the User’s data. All data collected by GK Home Watch Users through surveys will be stored exclusively in secure hosting facilities provided by Amazon Web Services. GK Home Watch’s contract with its hosting provider ensures that all hosting is performed in accordance with the highest security regulations. Accordingly, GK Home Watch adheres to practices and policies that aim to safeguard the data. GK Home Watch will not retain data longer than is necessary to fulfill the purposes for which it was collected or as required by applicable laws or regulations. For Respondent data, GK Home Watch’s Users have control of the purpose for collecting data, and the duration for which the Personal Data may be kept. For Respondent data, Users with an active account will therefore have the responsibility to delete data when required. When a users’s account is terminated or expired, all Personal Data collected through the platform will be deleted, as required by applicable law. We will reveal a user’s personal information without his/her prior permission only when we have reason to believe that the disclosure of this information is required to establish the identity of, to contact or to initiate legal proceedings against a person or persons who are suspected of infringing rights or property belonging to GK Home Watch or to others who could be harmed by the user’s activities or of persons who could (deliberately or otherwise) transgress upon these rights and property. We are permitted to disclose personal information when we have good reason to believe that this is legally required. GK Home Watch and/or its respective suppliers make no representations about the suitability of the information contained in the documents and related graphics published as part of the services for any purpose. all such documents and related graphics are provided “as is” without warranty of any kind. GK Home Watch and/or its respective suppliers hereby disclaim all warranties and conditions with regard to this information, including all warranties and conditions of merchantability, whether express, implied or statutory, fitness for a particular purpose, title and non-infringement. in no event shall GK Home Watch and/or its respective suppliers be liable for any special, indirect or consequential damages or any damages whatsoever resulting from loss of use, data or profits, whether in an action of contract, negligence or other tortious action, arising out of or in connection with the use or performance of information available from the services. The documents and related graphics published on the services could include technical inaccuracies or typographical errors. changes are periodically added to the information herein. GK Home Watch and/or its respective suppliers may make improvements and/or changes in the product(s) and/or the program(s) described herein at any time. User expressly agrees that use of GK Home Watch is at user’s sole risk. Neither GK Home Watch, its affiliates nor any of their respective employees, agents, third party content providers or licensors warrant that GK Home Watch will be uninterrupted or error free; nor do they make any warranty as to the results that may be obtained from use of GK Home Watch , or as to the accuracy, reliability or content of any information, service, or merchandise provided through GK Home Watch . GK Home Watch is provided on an “as is” basis without warranties of any kind, either express or implied, including, but not limited to, warranties of title or implied warranties of merchantability or fitness for a particular purpose, other than those warranties which are implied by and incapable of exclusion, restriction or modification under the laws applicable to this agreement. This disclaimer of liability applies to any damages or injury caused by any failure of performance, error, omission, interruption, deletion, defect, delay in operation or transmission, computer virus, communication line failure, theft or destruction or unauthorized access to, alteration of, or use of record, whether for breach of contract, tortious behavior, negligence, or under any other cause of action. User specifically acknowledges that GK Home Watch is not liable for the defamatory, offensive or illegal conduct of other users or third-parties and that the risk of injury from the foregoing rests entirely with user. In no event will GK Home Watch, or any person or entity involved in creating, producing or distributing GK Home Watch or the GK Home Watch software, be liable for any damages, including, without limitation, direct, indirect, incidental, special, consequential or punitive damages arising out of the use of or inability to use [Website Name]. user hereby acknowledges that the provisions of this section shall apply to all content on the site. In addition to the terms set forth above neither, GK Home Watch, nor its affiliates, information providers or content partners shall be liable regardless of the cause or duration, for any errors, inaccuracies, omissions, or other defects in, or untimeliness or unauthenticity of, the information contained within GK Home Watch, or for any delay or interruption in the transmission thereof to the user, or for any claims or losses arising there from or occasioned thereby. None of the foregoing parties shall be liable for any third-party claims or losses of any nature, including, but not limited to, lost profits, punitive or consequential damages. GK Home Watch its logos are trademarks of GK Home Watch. All rights reserved. All other trademarks appearing on GK Home Watch are the property of their respective owners.